Leveraging the best practices of global enterprise , we work with women to develop scaleable solutions to their biggest burdens. Our programs give women around the world the tools to turn their greatest burdens into pathways to success. Here's an example of how. 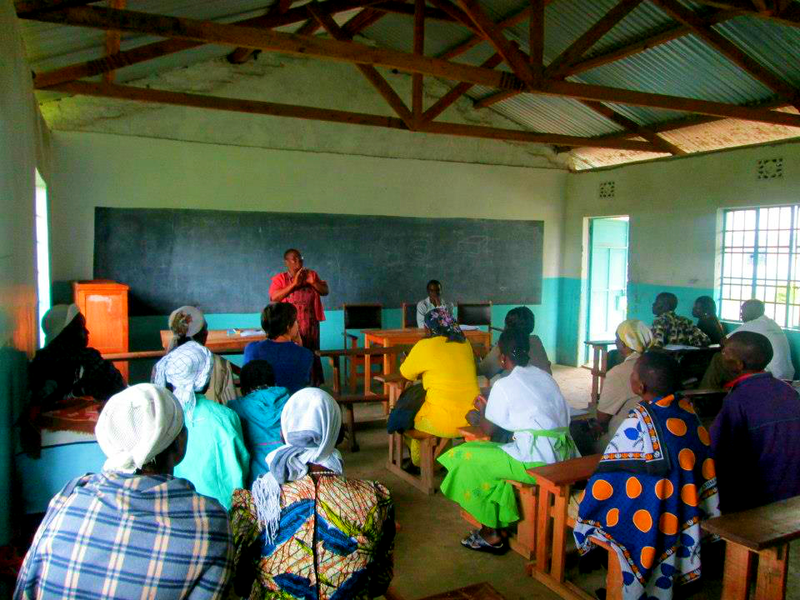 Women are identified as prospective Maji Mamas through peer-to-peer nomination and by referral from existing Maji Mamas. Each woman receives support in market research and in securing 3-4 contracts to build water tanks or provide other WaSH solutions in her community. With these contracts secured, Maji Mamas receive training in the production of Interlocking Stabilized Soil Blocks (ISSBs), building water tanks out of ISSBs, and the policies and procedures for running a Maji Mama business. Women also receive training to become Water and Health Educators to build grassroots marketing. Maji Mamas receive approximately 170 hours of initial training over the first two months and these trainings are facilitated by Mama Maji teams and subject matter experts. Maji Mamas receive an interest free loan to cover the cost of the equipment to produce ISSBs and the labor to complete the first two contracts. We also provide weekly support for the first six months to ensure Maji Mamas continue to grow and flourish in their new business. After the first period, Maji Mamas receive further training in building pit latrines and home filtration systems to expand their product line. They continue receiving monthly mentorship to ensure their business thrives. All of these activities are carried out primarily in the community where the Maji Mama lives. In the first year the Maji Mamas for a single franchise location are expected to build 50 tanks, three latrines, and train 2,500 community members on water and hygiene issues. Maji Mamas earn an average of 40,000 KES per year. This is 2.7 times the current annual income of most women.